Dana Zieman wrote candidly about her battle with pancreatic cancer in Georgia’s Rome News-Tribune for a year until her death in April of 2016. On August 6, 2015, she wrote: “In beginning this series of columns, I hope to express some of the emotions, reactions and ideas we cancer patients experience on our journey through this disease.” From the outset, her writing demonstrates a robust fighting spirit as Dana frankly discusses how it feels to be told that the cancer you thought you had beaten had returned. 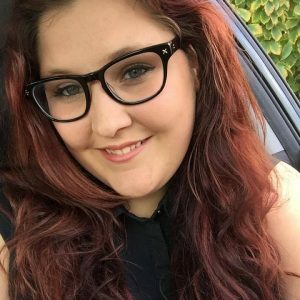 Dana describes the highs and lows she experienced as the “most extreme roller coaster ride of [her] psychological life.” Dana’s strength and positivity mirrors that of Nikki Mitchell herself, who kept an online journal to chronicle her thoughts as she battled her own diagnosis. There are many parallels between these two extraordinary women. Their insights can aid, inspire, and encourage both patients living with cancer and the friends and family that rally against them. 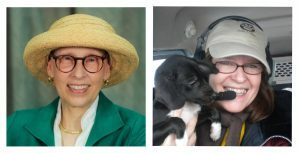 Dana writes about how accepting help can sometimes be difficult, especially as a woman who values her independence: “My advice to cancer patients is to remain independent when you can. It’s good for you. When you can’t, however, let the people who love you help. Their doing so benefits you both … My advice to friends and family: Don’t always take the patient at his/her word. Sometimes you need to override their decisions and take charge in a very concrete, unobtrusive way…No matter how independent we have been, we now need assistance, all kinds of it. We must allow ourselves to accept it, even to ask for it.” Allowing friends and family to help is immensely valuable, as many people don’t know what to say or do when a loved one is diagnosed. Proactively helping out with basic tasks, like mowing the grass, running errands, cooking meals, or hiring a house cleaner can be a huge help to patients with cancer. Dana also felt that living each day to the fullest was incredibly important. She issued “a plea to say what you should, now and every day … We shouldn’t look at the people we love with the thought that they might not be here tomorrow. Or for that matter, that we may not be here tomorrow. We couldn’t enjoy our lives and the many joys we share if we always anticipated the darkness.” Her thoughts on how to do this were to “make our small gestures of kindness a reflex.” She believed it was important to not dwell on mortality and to just focus on the day ahead and that attitude and outlook play a critical role in the healing process. The attitudes, values, and positivity embodied in Dana and Nikki’s writings can aid patients living with cancer and their caregivers alike. Dana says “Begin the day with this mantra: be kind, be expressive; find something positive to say to others; love your family and friends.” Living Dana’s mantra and embracing Nikki’s positivity can change everyone’s world for the better. Read Dana’s full articles here. Broadcast journalist-turned-political analyst Ferdie Ramos was celebrating his 71st birthday in China when he felt a pain in the chest. He feared it was a heart attack but kept quiet about it, not wanting to ruin the merrymaking. When he flew back home the next day, he went straight to the hospital. As it turned out, Ramos had pancreatic cancer. He was advised to undergo a Whipple procedure immediately, open surgery first performed in 1935 by an American surgeon named Dr. Allen Whipple. Whipple surgery involves removal of a part of the pancreas’ head, said Ramos, and part of the small intestine, a portion of the bile duct, gallbladder and stomach. There are so many organs attached to the pancreas that performing surgery can sometimes take up to 12 hours. But when he learned there was a 30-percent risk of failure during surgery—one of 10 surgeries ends in death—he started to look for other solutions. 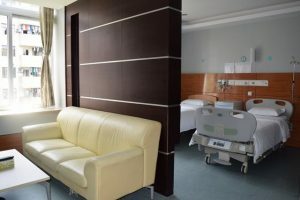 Just when he was about to give up, one of his friends told him about Fuda Cancer Hospital in Guangzhou, China. 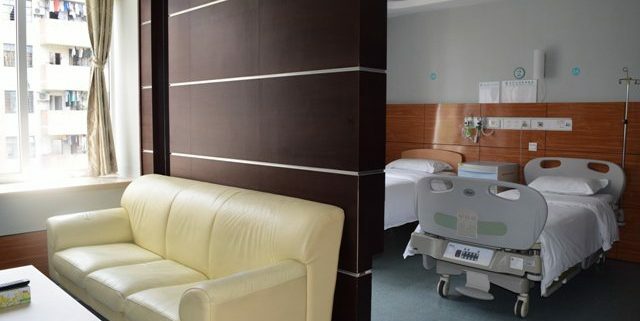 The hospital also happens to have a consultation office at Century Medical Makati at Century City in Makati. 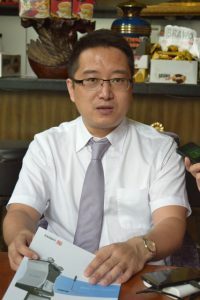 He dropped by for a consultation and was advised by Dr. Ning “Carl” Yu, a medical oncologist/surgeon at Fuda and consultant doctor, to undergo the latest FDA-approved procedure, the irreversible electroporation (NanoKnife) for tumor ablation. The NanoKnife procedure does not require open surgery. Approved in 2012 by the FDA, it’s a minimally invasive, probe-based technology that involves inserting two electrodes that release high-voltage pulses of up to 10,000 volts to zap tumor cells in an instant. For patients with locally advanced pancreatic cancer, the NanoKnife can double their survival time. Instead of a two-year survival rate, for example, patients can now look forward to four years or more. What NanoKnife offers is a promising treatment for tumors in the pancreas that cannot be surgically removed. While open surgery takes up to 12 hours, the NanoKnife procedure takes only 20 minutes. Preparing the patient for surgery, however, can take up to two hours. Still, that’s a remarkable difference between both procedures. “Quality of life begins right after the surgery,” said Segundo Cruz III, Fuda supervisor for the international affairs department. Ramos, for example, was already walking and eating less than 24 hours after the procedure. Other advantages of NanoKnife include less damage to surrounding nerves, especially for body parts with dense motor nerves, such as the neck, groin and pelvis; and fewer side effects. Disadvantages include the cost of the procedure ($30,000), and the fact that it requires precise insertion of electrodes. At Fuda, for example, only one doctor is qualified to perform the procedure. Pancreatic cancer has often been referred to as the “King of Cancers” because the pancreas is deep in the abdomen, with symptoms of incredible pain and jaundice; it disrupts the urge to eat and weakens patients who are no longer receiving proper nutrition, Cruz said. “The NanoKnife procedure is 80- to 90-percent effective. Many of them can eat and talk after the treatment. There are hardly any post-operation side effects. They can feel a little pain from the needle insertion but that’s about it,” Yu said. NanoKnife is also used for liver, lung and breast cancer. Another procedure offered at Fuda Cancer Hospital is argon-helium knife cryosurgery (cryosurgical ablation) for breast cancer, a minimally invasive procedure that uses minus 150-degree Centigrade super-freeze to destroy the tumor, prevent it from spreading, and allow patients to return to normal activity a few days after the treatment. “Cryoablation is effective and inexpensive, $10,000-$20,000 per patient, versus the gold-standard treatment of mastectomy and rebuilding that’s around $100,000,” Ross-Paul said in her presentation. It is the low potential return of investment, she continued, that keeps investors from getting the approximately $10 million needed to get an FDA approval. To this day, she said, cryoablation is still considered experimental in the United States. During the procedure, a knife head that uses argon and rapidly lowers its temperature to minus 150°C is inserted into the tumor. The surrounding tissues will then begin to freeze, creating multiple ice balls that eventually turn into one big ice ball. By turning off the argon and turning on the helium, the temperature of the necrotic area will quickly rise to 40°C. In three to five minutes, the whole freeze-thaw cycle will repeat, until the tumor is completely destroyed. It’s a convenient operation. The knife can be directly inserted into the small tumor from any angle, since there are no other vital structures or organs surrounding it. For bigger tumors, more knives are needed. “Women are aware of the need for early detection, and in many cases, something suspicious is seen in the early mammogram. It is too small for biopsy and may not be cancer at all. So the current practice is to wait six months and have another mammogram. I can assure you, this is not what women want. They want to do something as soon as possible to prevent a tumor from forming,” Ross-Paul said. She suggests cryoablation early on, when tumor formation is suspected, to avoid months of anxiety. “If the protocol is adopted, cryoablation will prove itself because a statistical pool will show that a lower percentage of women are diagnosed with breast cancer if they detect and freeze versus detect and wait… This is what women, and medicine, need,” she said. Meantime, Ramos is back in China for a follow-up. He looks forward to returning home to be with family and friends. http://www.nikkimitchellfoundation.org/wp-content/uploads/2016/07/t0719fuda-1.jpg 427 640 Christa Bowles http://www.nikkimitchellfoundation.org/wp-content/uploads/2016/03/logo.png Christa Bowles2016-07-27 16:37:292017-05-30 15:58:07"In this cancer hospital, there’s more than one way to kill a tumor"
Everyone always asks why I am so passionate about helping others. Most people don’t understand having a passion for something usually means it holds a special place in your heart or has affected you in one way or another. Mine starts off from a time that I honestly can’t even recollect. I was a month shy of turning two and my grandmother passed away from leukemia. Being that young, one may think that it doesn’t really hurt the person. Truth is, I will never know how wonderful of a person she was/could have been to me. The only things I know about her are from the amazing stories I have been told from my family. Her passing away so young is something that I will never understand and will always have lingering in the back of my mind. As I got older I quickly learned how deadly the word “cancer” is. When I was just 11 years old, my best friends’ brother was diagnosed with childhood leukemia. He was only 14 years old. I quickly watched him go from starting on the football team to being reduced to a wheel chair due to his chemotherapy. It was truly an eye-opening experience for me, as I tried to understand what was happening. He started becoming very pale, started losing his beautiful blonde hair, and shortly after you see the sparkle in his eyes start to deteriorate. Only a short year after being diagnosed, we lost him. About a year after this, another one of my fellow students was diagnosed with cancer. He was a well-known teenager throughout our community, and it was about a year after diagnosis that we lost him as well. This one really hit me hard – his funeral contained at least 1,000 of us students to support him and his family through the trying time. After these two tragedies, I began to realize that this fight needed to be recognized – from not just the families but the communities that’s affected as well. When the next family friend was diagnosed with cancer I was 15 years old – the patient was only 3. I had played softball for years with her older sister and her dad was a teacher at my school, so she had grown up around me. She was diagnosed with retinoblastoma, and was told that the only option was to remove her eye. The family searched for another way and found out there was some testing and trials being done in NYC, so they took a leap of faith. As we all know, this treatment and traveling for cancer is not cheap. The family wanted to put on a benefit concert for their little girl. So here was my family’s first chance to show the community we were helping them fight the fight. We held the benefit concert and little Miss Karli is now 6 years cancer free! I was in the clear with cancer for several years after this great news. Then it hit me again…. When I turned 18 was when cancer really started to hit close to home. In February of 2011 my uncle was diagnosed with pancreatic cancer. Growing up in the music business, I knew about this type of cancer. He was already developed into the 4th stage, so we knew that chemo was not an option and wouldn’t help his condition. He had to send his 5-year-old daughter back to live with her mother, and I had to watch him tell her their final goodbyes. It was heart-wrenching. We unfortunately lost him in April of 2011. Two weeks after we lost him, my grandmother passed away. We found out that she had lung cancer, and kept it a secret from the family because she was prepared to leave this world. This loss is definitely the one that impacted me the most. She was my rock and held me up so many times throughout my minimal 18 years of life. At that moment, I knew that I was destined to help fight the fight against cancer in whatever way I possibly could. Volunteering for cancer causes is definitely the first step to not only helping, but healing me as well. I do plan on pursuing a career in the non-profit industry – I believe I have the necessary passion for it. During my times volunteering for the Nikki Mitchell Foundation, I have had several meaningful experiences. The Montgomery Golf Tournaments are definitely one of the most memorable. I have had the pleasure of helping set up and run the concert since 2013. My job the past few years has been to run the Bud Light truck right beside the stage. When I tell you that this is by far the most fun volunteering job I have ever had, I truly mean that. We have ladies and gentlemen come to the truck to grab a drink, enjoy the music and tell us about their experiences. Then, they remember that they are there for a cause and start opening up about how it effects them. I had one lady during the 2015 concert that stood at my table for at least 30 minutes explaining how this foundation has such an emotional connection with the attendees. She had spoken about her grandfather being diagnosed with cancer at a fairly young age, and he beat it! She told me that the one thing that affected her the most about being at the concert that year was the fact that we did the statistics with the audience. She had always known that her grandfather defeated the odds, but she had never truly realized the minuscule percentage of patients that actually make it. By this time in our conversation, she was so emotional and thankful for all that we have done/are doing that she was hugging me. At this moment, I knew that the Nikki Mitchell Foundation is doing something right in so many ways and I knew I was meant to be a part of one of the best foundations ever set up. 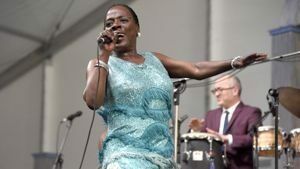 The trailer for Miss Sharon Jones!, the documentary that traces soul singer Sharon Jones’ career and ongoing cancer battle over the course of a harrowing year, has been released. The Barbara Kopple-directed film will open in New York and Los Angeles this summer with plans to expand nationwide. However, in 2013 as Sharon Jones & the Dap-Kings were about to release a new album and tour, Jones was diagnosed with pancreatic cancer. The trailer showcases her triumphant survival spirit as she returns to the stage. “The show must go on,” she says. Miss Sharon Jones! opens on July 29th in New York and August 5th in Los Angeles.